Thought I might share these images of the Water Measurer. These bugs are probably very familiar to you on the surface of pond water. They appear to be black to the human eye and are between 8 and 11mm long. They are both carnivore (spearing and feeding on small animals with their sharp pointed jaws) and scavanger (feeding on dead animal matter). They have fine hairs on the feet which are water repellant and thus supporting their weight, allowing them to walk on the water surface. A pair walking on the surface of a lily pad. A pair which have captured a fly that got too close. 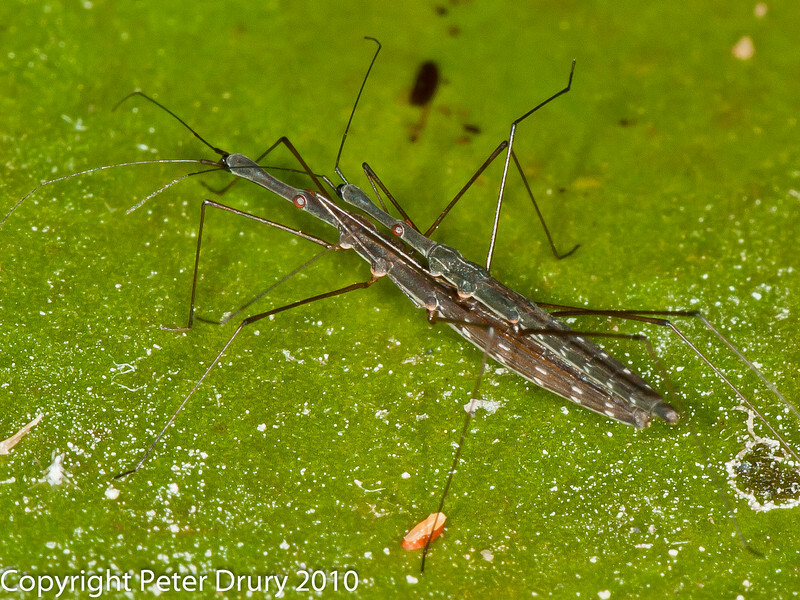 Both bugs belong to the order Hemiptera (True Bugs), Sub Order Heteroptera (semiaquatic bugs or shore-inhabiting bugs) and infra order Gerromorpha (bugs that walk on the surface of the water). At this point the pond skaters and water measurer diverge. Water measurers are in the family Hydrometridae whilst pond skaters belong to the family Gerridae. Already tried a lot to get a descent shot of those, and never succeeded. Great work, and now I'm gonna try twice as hard. Thank you Ronny. The world through the lens of a macro is a very interesting place with lots of things to discover. LOvely captures- assume these are mating ? Do have these on my pond - unlike the water skaters they do not attract the attention of the fish. 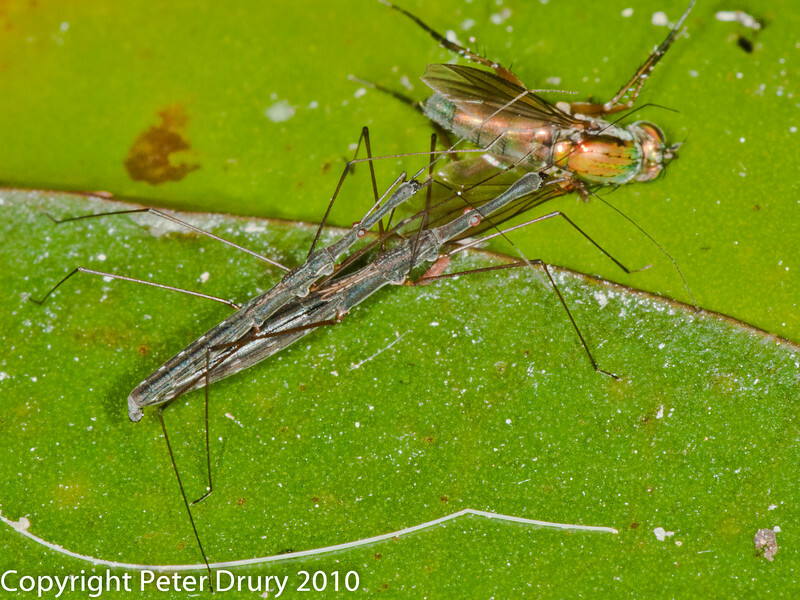 catching prey while mating? lulz! a nice capture of interesting moment! Thanks for your replies Brian and Chrissiebeez. I am sorry I have not replied before.